I. U.S. and Russian priorities for the bilateral agenda. Preventing nuclear terrorism tops the agenda Friday as U.S. President Barack Obama and officials from than 50 other countries gather for a bi-annual Nuclear Security Summit. “This is obviously an occasion in which we are deeply concerned about nuclear security, making sure that nuclear materials don’t fall into the hands of terrorists,” Obama said Thursday in preparation for the summit. As part of that effort, summit delegates will discuss ongoing efforts to reduce the amounts of nuclear material and improve security of nuclear stockpiles. Sessions are devoted to “national actions to enhance nuclear security,” and countering attempts by the Islamic State and other extremist groups to obtain nuclear materials. Attendees also plan to discuss what their countries have done to eliminate nuclear materials. The White House says 17 countries will announce commitments at the summit to reduce threats and increase the security of nuclear materials. (AP, 03.19.16, USA Today, 04.01.16). According to a U.S. State Department fact sheet, the countries involved in the Nuclear Security Summit have either eliminated or down-blended enough nuclear material for 1,500 nuclear weapons since 2009. It has also confirmed the elimination of 138 metric tons of Russian weapons-origin HEU — enough for 5,500 nuclear weapons — although some of that elimination began prior to the Obama administration. (Defense News, 03.27.16). Russian presidential press secretary Dmitry Peskov has explained Russia’s decision not to take part in an upcoming nuclear security summit in Washington by “a lack of interaction” in formulating issues to be addressed at the forum. “It is not entirely clear to us what the meaning of this summit is,” senior Russian diplomat Mikhail Ulyanov said. He specified that the upcoming event “bears a very special nature: it is more for nuclear physicists, for special services, engineers, these are not the topics that should be discussed at the highest level.” (Sputnik, 03.30.16, Interfax, 03.30.16). While noting that Moscow had continued joint work on nuclear security, White House spokesman Josh Earnest said Russia was going to “miss out on an opportunity” and that its no-show illustrated the “degree to which Russia is isolated.” Ben Rhodes, deputy U.S. national security adviser, said Russia’s decision not to attend this week’s summit was “a missed opportunity for Russia”. “All they are doing is isolating themselves,” he said. “(Reuters, 03.31.16, Financial Times, 03.30.16). “I don’t understand myself why they decided they didn’t want to come to the summit itself, because we continue to work together so well, and Russia has obviously taken a very responsible role worldwide to try and wrestle with these problems,” Undersecretary of State Rose Gottemoeller said of Russia’s decision not to attend the final Nuclear Security Summit She added that she doesn’t think Russia’s disinclination to attend the NSS will affect future nonproliferation efforts between the two nations. (Defense News, 03.27.16). Cooperation between the United States and Russia on the nuclear security continues although some activities related to the matter have decreased, US Coordinator for Threat Reduction Programs in the Bureau of International Security and Nonproliferation Bonnie Jenkins stated on Monday. The official continued, “It’s unfortunate that Russia is not there (at the summit), but we believe that in the future as we go forward past this summit as part our efforts that we will continue to work with Russia.” (Sputnik, 03.28.16). The Obama administration released a report Thursday saying the United States has reduced its own stockpiles of highly enriched uranium, material that could be used to make a nuclear weapon. It reported 586 metric tons of highly enriched uranium in the United States in 2013, down from 741 metric tons in 1996. (USA Today, 04.01.16). “A terrorist attack with an improvised nuclear device would create political, economic, social, psychological, and environmental havoc around the world, no matter where the attack occurs. The threat is global, the impact of a nuclear terrorist attack would be global, and the solutions therefore must be global,” according to a White House factsheet released ahead of the Nuclear Security Summit. (Whitehouse.gov, 03.29.16). Russian President Vladimir Putin signed amendments to the law on the regulation of safety in the use of nuclear energy, RIA Novosti reported on March 30th. The amendments introduce definitions of “nuclear fuel” and “spent nuclear fuel” in compliance with the Convention on the Safety of Spent Fuel Management. The amendments also empower government agencies to select organizations which will lead nuclear R&D, according to the report. (Belfer Center, 03.30.16). “We know that terrorist organizations have the desire to get access to these materials, and their desire to have a nuclear device,” Ben Rhodes, a deputy national security adviser, told reporters Tuesday while previewing the summit. “That was certainly the case with al Qaeda, and that is certainly the case with ISIL as well,” Mr. Rhodes said. (Wall Street Journal, 03.29.16). U.S. experts are less concerned about militants obtaining nuclear weapon components than about thefts of ingredients for a low-tech dirty bomb that would use conventional explosives to disperse radioactive material and sow panic. 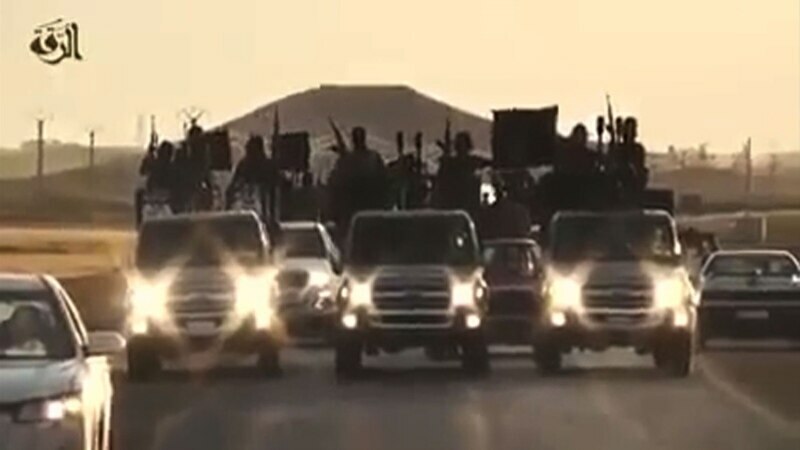 U.S. officials said they had no doubt that Islamic State, which controls swaths of Syria and Iraq, was interested in obtaining such materials, but Laura Holgate said U.S. authorities had no “explicit indications” that the group had tried to do so. (Reuters, 03.31.16). An arm of the US National Institutes of Health is moving into advanced testing of an Israeli product that promises to treat victims of radiation exposure from industrial catastrophes or the specter of nuclear material in the hands of terrorists. (Defense News, 03.30.16). U.S. Senator Ron Johnson (R-WI) said when asked to assess the possibility of ISIS accessing a nuclear plant: “I’m highly concerned about that, but not only in Europe. Look at the attack on the Metcalf power station in California. We have not solved that. That is a very disconcerting chain of events here. So, trust me, our critical infrastructure is vulnerable to cyber-attack, to potential terrorist attack. And we’re not taking this threat seriously enough. It’s highly concerning.” (CNN, 03.27.16). At a meeting in Belgrade, US and Russian members of the Elbe Group declared that the risk of terrorism, both conventional and nuclear, is growing. They urged that special attention must be given to preventing Daesh, al Qaeda, and other terrorist organizations which have declared openly their desire to gain weapons of mass destruction, from obtaining them. (Nuclear Security Matters, 03.30.16). A large majority of the countries that committed to secure radiological materials at the 2014 Nuclear Security Summit have met their commitment or are on track to do so by the end of this year, according to a new report from the Nuclear Threat Initiative. However, the report also finds that the existing system for securing dangerous radiological materials has significant gaps. (NTI, 03.23.16). Gen. Philip Breedlove, commander of U.S. military forces in Europe, said an additional armored brigade would be begin rotating into Eastern Europe in February 2017, bringing the number of U.S. combat brigades that are constantly in the region to three. Deputy U.S. Secretary of Defense Robert Work said the new plan would position more of the U.S. Army’s best and most-modern equipment in the area, while rotating in a brigade’s worth of U.S. Army troops. The new gear includes 250 tanks, Bradley Fighting Vehicles and Paladin self-propelled howitzers as well as more than 1,700 additional vehicles. Combined with equipment already in Europe, “there will be a division’s worth of stuff to fight if something happens,” Mr. Work said. The Pentagon plans to divide the rotational force of 4,200 among six eastern members—Lithuania, Estonia, Latvia, Poland, Romania and Bulgaria. Russian officials argue the decision violates the 1997 NATO-Russia Founding NATO officials say the size of the forces being considered is in keeping with the agreement. (RFE/RL, 03.30.16, Wall Street Journal, 03.30.16). Russia is preparing an “asymmetric” response to the increase in NATO troop rotation in Eastern Europe, and in particular the United States’ military presence near Russian borders, Russia’s ambassador to NATO said on March 31. “We’ve said more than once that an indefinite rotation is in no way different from permanent deployment,” Alexander Grushko said. A high-ranking source in the Russian Defense Ministry has called America’s plans to deploy its heavy weaponry in Eastern Europe “a serious destabilizing factor.” “We believe that this is our partners’ first step to reconsidering the positions of the NATO-Russia Act,” he said. (RFE/RL, 04.01.16, RBTH, 03.31.16). NATO jet fighters accompanied the plane of Russian Defense Minister Sergei Shoigu bound for Kaliningrad on its flight above neutral waters of the Baltic Sea. (Interfax, 03.28.16). U.S. President Barack Obama will meet with NATO Secretary-General Jens Stoltenberg at the White House on April 4 to discuss the fight against the Islamic State group, the migrant crisis, the upcoming NATO summit, and NATO’s increased presence in Eastern Europe. (RFE/RL, 03.26.16). Republican presidential candidate Donald J. Trump said: “”I’ll tell you the problems I have with NATO. No. 1, we pay far too much….. It has to be changed from the standpoint of cost because the United States bears far too much of the cost of NATO.” Only five of NATO’s 28 members—Britain, Estonia, Greece, Poland and the U.S.—will spend the 2% of GDP on defense in 2015. The United States spends nearly 4 percent of its GDP on the military; for NATO Europe, the figure is barely 1.6 percent. (New York Times, 03.27.16, Wall Street Journal, 03.28.16, National Interest, 03.29.16). Ships from Russia’s Pacific Fleet will take part in the 2016 ADMM-PLUS international Maritime Security and Counterterrorism Exercise on the South China Sea in May. ADMM-PLUS comprises of the ten ASEAN members plus Australia, China, India, Japan, South Korea, New Zealand, Russia and the United States. (RBTH, TASS, 03.31.16). “Given its violations of the INF Treaty, we continue to call on Russia to comply fully with its obligations. Along with our military leadership, I continue to believe that our massive Cold War nuclear arsenal is poorly suited to today’s threats. The United States and Russia — which together hold more than 90 percent of the world’s nuclear weapons — should negotiate to reduce our stockpiles further.” U.S. President Barack Obama wrote in an op-ed. (Washington Post, 03.30.16). The Kremlin has reacted to claims by U.S. President Barack Obama’s that Moscow has violated its obligations in the sphere of nuclear security. Such statements are unfounded, say Russian officials. Russian presidential press secretary Dmitry Peskov also stressed that it does not intend to discuss its actions concerning the deployment of nuclear weapons in Crimea with anyone. (RBTH, 03.31.16). “My personal view is that Russia no longer sees value in that architecture put in place at the end of the cold war,” Frank Rose, U.S. assistant secretary of state said, citing Russia’s withdrawal from a conventional weapons agreement and its alleged testing of medium-range ballistic missiles. “They are slowly but surely taking out the key building blocks of the Euro-Atlantic architecture put in place in the late 80s and 1990s.” (Financial Times, 03.30.16). Moscow has no illusions about the possibility that its positions with Washington could become closer on the fight against terrorism in the near future, and such an alliance is unlikely to be set up soon, Kremlin spokesman Dmitry Peskov said in commenting on the results of U.S. Secretary of State John Kerry’s recent visit to Moscow. (Interfax, 03.26.16). The Islamic State’s Caucasus Province has claimed responsibility for two attacks in Dagestan this week. On Mar. 29, the group claimed to have detonated “two explosive devices” on two Russian Army vehicles “in the area of Kaspiisk in eastern Dagestan.” On Mar. 30, Amaq reported that another bombing occurred when a fighter detonated “his explosive belt on a Dagestani police checkpoint [in] Sirtych village, killing and wounding several of them.” The Islamic State’s arm in the Caucasus has claimed responsibility for at least five operations since it was established last year. (Long War Journal, 03.31.16). Gazprom has for the first time agreed to comply with the requirements of the European Union’s Third Energy Package by agreeing to sell its 34-percent stake in Latvian natural gas company Latvijas Gaze. (RBTH, 03.29.16). Saudi Arabia will only freeze its oil output if Iran and other major producers do so, the kingdom’s deputy crown prince said. The warning leaves the outcome of a meeting between OPEC and other big oil producers, including Russia, this month in question (Bloomberg, 04.01.16). China is ready to import about 27 million tons of oil from Russia in 2016. Saudi Arabia’s share of total Chinese oil imports fell from more than 19 per cent in 2013 to almost 15 per cent in 2015, because of increased supplies from Russia. (RBTH, 04.01.16, Financial Times, 03.28.16). While the Obama administration has used sanctions liberally to punish Iran, Russia, North Korea, and a variety of terrorist and drug trafficking organizations, U.S. Treasury Secretary Jack Lew said that there are limits to their effectiveness. What Lew called “sanctions overreach” only encourages businesses to avoid the United States and its financial system, eventually eroding the reach of the U.S. dollar and its power and status as the preeminent reserve currency. Russian lawmaker Konstantin Kosachev, the chairman of the Russian Federation Council’s International Affairs Committee, reacted to Lew’s speech, saying it suggested the United States has gotten “overworked” over sanctions. (RFE/RL, 03.31.16). The Russian privatization and sanctions against Russia were discussed during the meeting between Russian Economic Development Minister Alexei Ulyukayev and U.S. Ambassador to Russia John Tefft in Moscow on March 28. (Interfax, 03.28.16). The article that Jeffrey Goldberg wrote on U.S. President Barack Obama’s foreign policy came up in a conversation he had with President Vladimir V. Putin of Russia. Mr. Putin, evidently, was surprised by the candid tone of his comments. ”Unlike you, Vladimir, I don’t get to edit the piece before it’s published,” Mr. Obama said with a grin. (New York Times. 03.29.16). American investment banker Carter Page, whom Donald Trump named him last week as one of his foreign-policy advisers, left little doubt that he favors deeper engagement with Russia. He also described a career marked by a lifelong fascination with Russia and Central Asia, and a determination to drum up business there even in the face of political headwinds.(Bloomberg,03.30.16). Russian police are searching for American student Colin Madsen who went missing in freezing conditions in a mountainous part of Siberia three days ago. (RFE/RL, 03.31.16). Russia’s gross domestic product fell 3.8 percent from a year earlier after a revised 3.7 percent drop in the previous three months, the Federal Statistics Service said. The median estimate of 13 analysts surveyed by Bloomberg was for a 3.9 percent decline. (Bloomberg, 04.01.16). Russia came the closest to meeting its quarterly fundraising target in five years after a bond-market rally boosted demand. The Finance Ministry sold 22.8 billion rubles ($337 million) of bonds out of 26.9 billion rubles it offered. (Bloomberg, 03.30.16). Russian Prime Minister Dmitry Medvedev announced on Monday that the minimum monthly wage in Russia will increase to 7,500 rubles ($110) starting from July 1. (Moscow Times, 03.28.16). The Russian government is not planning to raise taxes until 2018, “although calls [to do so] are heard constantly,” Russian Prime Minister Dmitry Medvedev said. (Moscow Times, 03.28.16). VimpelCom Ltd. filed regulatory documents for the sale of as much as $6.1 billion of its stock by the company’s biggest investors. (Bloomberg, 03.31.16). Rosneft, the world’s largest listed crude producer, said Thursday that net income rose 2% to 355 billion rubles ($6.1 billion) in the year to end-December. (Wall Street Journal, 03.31.16). The Russian government has transferred shares of seven nuclear companies to Rosatom, including 1.78 billion shares of the Siberian Chemical Combine, RIA Novosti reported on March 28. (Belfer Center, 03.28.16). ASE Group has announced plans for Russia to connect its first Generation-III nuclear power unit to the grid this summer. (World Nuclear News, 03.30.16). Russia’s nuclear utility Rosenergoatom is holding a tender for upgrades to the Kola nuclear power plant’s No 1 reactor — with the aim of running it for 60 years. (Bellona, 03.27.16). Patches of the islands on Lake Ladoga in northwestern Russia emit radiation at hundreds of times above the normal levels, military-news portal Voyennoye reported Tuesday, citing measurements by its journalists, taken more than half a century after a Soviet weapons-testing program there ended. (Moscow Times, 03.30.16). Russia’s former presidential human rights ombudsman Ella Pamfilova has been elected the new chief of the country’s Central Election Commission ahead of parliamentary elections. The Kremlin has accused unnamed foreign governments and media organizations of seeking to disrupt Russia’s upcoming parliamentary elections. (RFE/RL, 03.28.16). President of Russia Vladimir Putin has no relation to property manager Grigory Bayevsky as reported by the media in an apparent information attack on the Russian leader, Kremlin spokesman Dmitry Peskov said on Friday. Reuters news agency reported on Thursday that businessman Bayevsky from St. Petersburg was transferring properties to the persons who allegedly had relation to the close circle of President Vladimir Putin. (Tass, 04.01.16). Russia’s Investigative Committee has opened a criminal case against a deputy from the Kursk region after she published a video critical of President Vladimir Putin online. (Moscow Times, 04.01.16). Russia’s education watchdog, Rosobrnadzor, has suspended the accreditation of a European university in St. Petersburg. (Moscow Times, 04.01.16). An error by a crew member committed during adverse weather conditions may have been responsible for the crash of a passenger jet last week in the southern Russian city of Rostov-on-Don that killed 62 people, a report broadcast by Russian state television said. (New York Times, 03.27.16). Russia’s arms exports totaled $14.5 billion last year, more than originally planned, President Vladimir Putin said Tuesday. The total portfolio of foreign orders for Russian arms has exceeded $56 billion, he said. (Reuters, 03.29.16). Russia has been struggling with chronic shortages of draftees ever since the early 1990. The situation is different now. Those who are eager to serve in the uniformed capacity outnumber available vacancies in the Armed Forced by 30,000. (Izvestia, 03.30.16). Moscow has reactivated the First Guards Tank Army, which was disbanded in 1998, during Russia’s post–Cold War defense cutbacks. (National Interest, 04.01.16). The Russian Navy’s first Project-885 Yasen-class nuclear-powered guided-missile submarine, K-329 Severodvinsk, is set to deploy on its first combat training mission.. (National Interest, 03.27.16). The inaugural launch from the Vostochny Cosmodrome will take place in late April, Roscosmos state corporation head Igor Komarov told reporters on March 30. (Interfax, 03.30.16). Russian President Vladimir Putin has confirmed the national anti-corruption plan for 2016-2017. The presidential decree gives the Russian government until June 10 to submit a joint report on efforts to crack down on corruption in the federal authorities to the presidium of the presidential Anti-Corruption Council. (Interfax, 04.01.16). A well-known independent Russian journalist, Dmitry Tsilikin, has been found dead in his apartment in St. Petersburg. (RFE/RL, 04.01.16). The Russian Investigative Committee is close to proving that the Yukos oil company was acquired illegally by its shareholders. (Moscow Times, 03.25.16). Eighteen Turkish citizens with false IDs have been arrested in Moscow and are now being checked on the subject of involvement with terrorist organizations, a source in law enforcement agencies said. (Interfax, 03.30.16). A court in the Russian city of St Petersburg has sentenced a man to 12 1/2 years in prison on charges of being a leader of the banned Hizb-ut-Tahrir organization. (RFE/RL, 03.30.16). Russian news reports said the head of the U.S. Central Intelligence Agency (CIA) held talks in Moscow earlier this month. A spokesman at the U.S. Embassy in Moscow said John Brennan “reiterated the U.S. government’s consistent support for a genuine political transition in Syria.” A spokesman for the CIA said that the purpose of the trip was “to emphasize with Russian officials the importance of Russia and the Assad regime following through on their agreements to implement the cessation of hostilities in Syria.” Russian Deputy Foreign Minister Oleg Syromolotov said Brennan had meetings at the Federal Security Service but that his visit was not linked to the decision by Moscow to start withdrawing its forces from Syria. (RFE/RL, 03.28.16). Russian Foreign Minister Sergei Lavrov has dismissed as “dirty leaks” a March 31 report by Al-Hayat that U.S. Secretary of State John Kerry had told several Arab countries that Russia and the United States had reached an understanding on the future of Syria’s peace process, including Assad’s departure to another country. (RFE/RL, 04.01.16). The Russian military operation in Syria is not aimed at supporting the country’s president, Bashar al-Assad, Russian Foreign Ministry spokesperson Maria Zakharova said on March 27. “It is not al-Assad we are backing. Bear in mind: he was not our best friend, but a friend of the West,” she told reporters. (Interfax, 03.27.16). Syrian President Bashar al-Assad on Wednesday expressed support for peace talks next month in Geneva but still firmly rejected the opposition’s key demands. “There is nothing, neither in the Syrian constitution nor in any other constitution in the world, called a transitional body,” Assad said. He instead repeated his desire for forming a unity government with opposition members, independents and current government officials. He also said Syria plans to primarily lean on Russia, China and Iran in rebuilding the country following the war (Washington Post, 03.31.16, RBTH). Several hundred million dollars will be needed to rebuild the Syrian city of Palmyra, says Mikhail Piotrovsky, head of the State Hermitage Museum. (Interfax, 03.30.16). Pro-regime forces seized Palmyra as well as the adjacent Palmyra Airbase in Eastern Homs Province on March 27 after ISIS withdrew from the city. Russia played a major role in enabling the successful seizure of Palmyra. Russian demining experts have arrived in Syria to start clearing mines in Palmyra. Following President Vladimir Putin’s orders, the Russian Defense Ministry will also soon deploy robotic complexes to Syria’s Palmyra on a demining mission (RFE/RL, 03.31.16, Institute for Study of War , 03.27.16, Interfax, 03.28.16). The Russian Defense Ministry is seeking to have 10,300 medals manufactured for “participants in the military operation in Syria,” in what appears to be the closest official indication of the number of people who served in Russia’s six-month military incursion in Syria. (RFE/RL, 03.29.16). In the two weeks following Russian President Vladimir Putin’s March 14 announcement that Russian Aerospace Forces operations will end, Russia is shipping more equipment to Syria than is being removed. Russian state media report that three heavy attack helicopters, including two Mi-24 and one Mi-35 helicopters, have left Moscow’s Hmeimim airbase in Syria for Russia. (RFE/RL, 03.28.16, Moscow Times, 03.31.16). The Syrian campaign showed that Russia’s new advanced Sukhoi Su-34 Fullbacks, Su-35S Flanker-E —and possibly the Su-30SM Flanker-H—required modifications to their flight controls and engines as result of the lessons learned during their deployment. Su-34 was among the best performers during the Russia’s Syrian air campaign—carrying out the bulk of Russian precision guided weapons strikes. (National Interest, 03.29.16). Unlike the majority of U.S. Special Forces that are currently advising Iraqi and Syrian forces from behind the lines at the battalion and brigade levels, Russian Special Forces appear to be participating in combat alongside Syrian troops at the tactical level. (Washington Post, 03.30.16). Turkish ultranationalist Alparslan Celik, who bragged about killing the pilot of a Russian Su-24 bomber downed by the Turkish Air Force on the Syrian border last November, has been arrested in his home country. (Russia Today, 03.31.16). Latvian authorities shut down Russia’s pro-Kremlin news site Sputnik on March 29, calling it a “propaganda tool” and drawing an immediate rebuke from Moscow. Russia’s Foreign Ministry called the decision “blatant censorship.”(RFE/RL, 03.30.16). Poland’s plans to demolish around 500 Soviet-era monuments have angered Russia. (CNBC, 04,01.16). Montenegro will extradite 55 CIS citizens, believed to be mainly from Russia, and five Japanese citizens by the end of day on March 28. The 60 foreigners were arrested on suspicion of being members of the Japanese religious sect Aum Shinrikyo. (BNE Intelligence News, 03.28.16). International monitors in eastern Ukraine have reported an intense spike in fighting between government forces and Russia-backed separatists. The daily violence in the Avdiyivka-Yasynuvata area of the security zone makes up more than half of all the recorded cease-fire violations in the entire Donetsk region, according to OSCE. One Ukrainian soldier has been killed and eight wounded in fighting with pro-Russia separatists in eastern Ukraine over the past 24 hours, a Ukrainian military spokesman said on April 1. (RFE/RL, 04.01.16). Ukrainian President Petro Poroshenko has signed a decree on discharging 45,000 servicemen called up during the so-called 4th phase of partial mobilization. (Interfax, 03.26.16). The Ukrainian security service lists close to 130 Ukrainian detainees, military and civilian, as being held by the separatists. From May 2014 to February 2016 the International Committee of the Red Cross gained access to more than 750 people held in Ukraine in relation to the conflict. Just four were held by the separatist republics; the rest were in Ukrainian custody. (Foreign Policy, 03.30.16). A video interview with Yury Grabovsky, the murdered former lawyer of Russian citizen Alexander Aleksandrov, was made public. In the interview the lawyer pledged to terminate his provision of legal aid for Aleksandrov, whose trial has since been postponed. Ukraine’s Chief Military Prosecutor Anatoly Matios said that the video had been retrieved from a Cloud service account registered to one of the suspected killers of the lawyer. (Moscow Times, 03.29.16). Ukraine’s three major parliamentary parties have agreed to form a new coalition on March 29 and nominate parliamentary speaker Volodymyr Groisman to be Ukraine’s new prime minister, party officials said. The three new coalition partners include Ukrainian Prime Minister Arseniy Yatsenyuk’s party, President Petro Poroshenko’s faction, and former Prime Minister Yulia Tymoshenko’s Fatherland party. (RFE/RL, 03.28.16). 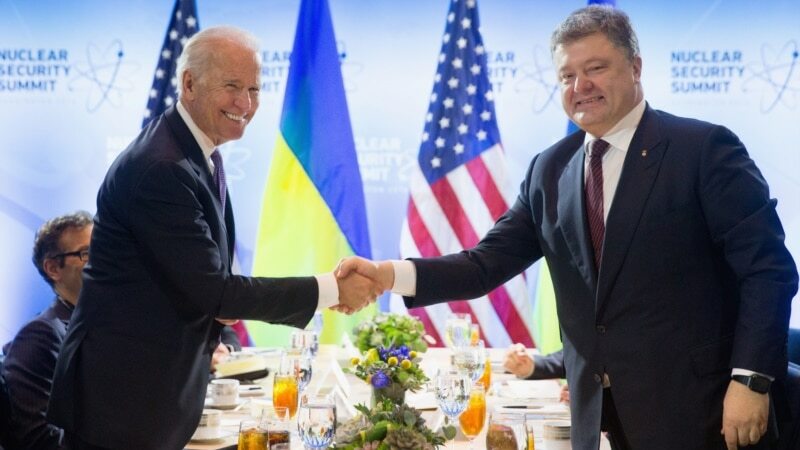 The White House announced that it will provide Ukraine with $335 million more in “security assistance” after a meeting on March 31 between U.S. Vice President Joe Biden and Ukrainian President Petro Poroshenko. The White House said Biden told Poroshenko that more aid will come if he keeps up efforts to install a new reform-minded government. While in Washington Poroshenko has called for Western sanctions against Russia for its actions in his country to remain intact. (RFE/RL, 04.01.16, RFE/RL, 03.31.16). During his visit to Moscow U.S. Secretary of State John Kerry was vague on Russia sanctions. He said that he asked U.S. President Barack Obama to roll back sanctions immediately, but only when the Minsk II accord is fully implemented. (Forbes, 03.27.16). Republican presidential candidate Donald J. Trump said when asked whether Russia will end up dominating Ukraine: ”Well, unless, unless there is, you know, somewhat of resurgence frankly from people that are around it.” “You have countries that surround Ukraine. They don’t talk. They don’t seem to have a problem. I’m not saying go in. I’d say be very strong, you can be strong without necessarily even being (inaudible) or the money we spend,” he said. (New York Times, 03.27.16, Washington Post, 03.30.16). Ukrainian officials’ initiative to severe diplomatic relations with Russia is “bordering on insanity,” presidential spokesman Dmitry Peskov said Thursday. (Moscow Times, 04.01.16). Ukraine is willing to buy Russian gas at market prices, Ukrainian Energy Minister Volodymyr Demchyshyn said. Ukraine does not exclude the possibility of buying gas supplies from the United States, provided that Europe gives permission to use terminals required to receive the fuel, the minister added. On Friday, Ukraine was deprived of the $17.77 per thousand cubic meters discount that had been previously granted by the Russian government. (Reuters, 04.01.16). Russia’s Federal Security Service says it has captured a Ukrainian security officer who volunteered to spy for Moscow and will send him back because they believe he is a double agent. (RFE/RL, 03.31.16). The Kremlin says Ukrainian military pilot Nadia Savchenko will serve her 22-year prison sentence handed down by a Russian court, despite Kyiv’s pushing for a prisoner exchange. Ukraine’s National Security and Defense Council has approved targeted sanctions against 54 individuals involved in the prosecutions of Ukrainian citizens Nadia Savchenko and Oleh Sentsov. (RFE/RL, 03.26.16, RFE/RL, 03.25.16). Belarusian President Alyaksandr Lukashenka says the ongoing crisis in eastern Ukraine cannot be solved without U.S. involvement. Lukashenka made the comment during a meeting in Minsk on March 30 with U.S. Deputy Assistant Secretary of Defense Michael Carpenter. The unannounced visit by a senior US defense official to Minsk is a further step towards normalization of relations between the US and Belarus. (RFE/RL, Chatham House, 03.30.16). A judge of the Malinovsky district court in Ukraine’s Odessa has been caught red-handed by officers of the National Anticorruption Bureau while receiving a bribe worth 500,000 hryvnias. When NABY officers tried to detain the judge, he shot at them and then fled through a window before being detained the next day. (Fakty.ictv.ua, 03.29.16, Unian, 03.30.16). The Ukrainian parliament has approved the resignation of Prosecutor-General Viktor Shokin. (RFE/RL, 03.29.16). Australia could soon be exporting uranium to Ukraine for power generation. Under the deal Ukraine must pledge to use Australian uranium for peaceful purposes only. (Sunshine Coast Daily, 03.31.16). U.S. Secretary of State John Kerry has called for “an ultimate resolution” of the decades-old Nagorno-Karabakh conflict during talks with Azerbaijani President Ilham Aliyev in Washington. The two also discussed Azerbaijan’s oil and natural gas exports to Western Europe and Baku’s record on democracy and human rights. (RFE/RL, 03.31.16). Azerbaijani military officials say two soldiers have been killed in fighting with the Armenian Army. Armenia disputed that account, however, saying Azerbaijani forces attacked several villages near their shared border, wounding one civilian over the weekend. (RFE/RL, 03.28.16). An Azerbaijani opposition leader who was recently freed from jail has accused President Ilham Aliyev of personally orchestrating a campaign of political imprisonments in the country. Prominent Azerbaijani writer Akram Aylisli has been briefly detained by police at Baku International Airport and prevented from travelling abroad. In 2013, a pro-government party offered a $12,700 reward to anyone who cuts off one of Aylisli’s ears. (RFE/RL, 03.30.16, RFE/RL, 03.31.16). Uzbekistan has pulled backed troops and military vehicles from a disputed segment of the Kyrgyz-Uzbek border, ending a weeklong standoff over the contested area. (RFE/RL, 03.26.16). Kyrgyz authorities say seven alleged members of a terrorist group have been detained. Kyrgyzstan’s State Committee for National Security said the detained men are suspected of recruiting fighters for military operations in the Middle East and planning a series of terrorist acts in Kyrgyzstan. (RFE/RL, 03.29.16). The European Union and Kazakhstan are set to have closer economic relations starting May 1, when a partnership agreement negotiated in December takes effect. Kazakh President Nursultan Nazarbaev has praised European Commission President Jean-Claude Juncker for his “full understanding” of the issues the two politicians discussed in Brussels on March 30. (RFE/RL, 03.30.16, RFE/RL, 03.30.16). German Foreign Minister Frank-Walter Steinmeier has held talks with Tajik President Emomali Rahmon in the Tajik capital, Dushanbe. On March 31, Steinmeier held talks with Kyrgyz President Almazbek Atambaev. Steinmeier, who has also visited Uzbekistan on the current tour, has described Central Asia as a “region of strategic importance” with “considerable risks to [global] stability.” (RFE/RL, 04.01.16). Moldova’s parliament has announced the country will hold a presidential election on October 30, the first time the public, and not parliament, will pick the head of state of the small, impoverished European country since 2001. .(RFE/RL, 04.01.16). Thousands of people calling for Moldova’s reunification with Romania took to the streets of Chisinau on March 27 in a so-called “march of reunion.” (RFE/RL, 03.27.16). British Foreign Secretary Phillip Hammond says Russia represents a threat to everyone on the world stage because of its disregard for international norms. Hammond made the remarks in Tbilisi when he was asked whether Russia still posed a threat to countries in the region, like Georgia or the Baltic states. The Russian embassy to London is surprised by Hammond’s remarks. (RFE/RL, 03.30.16, Interfax, 03.31.16). Back issues of Russia in Review are available here. If you wish to either unsubscribe from or subscribe to Russia in Review, please e-mail Simon Saradzhyan atsimon_saradzhyan@hks.harvard.edu. For more information about this publication please contact the The US-Russia Initiative to Prevent Nuclear Terrorism at 617-496-0518. “Russia in Review.”, April 1, 2016.